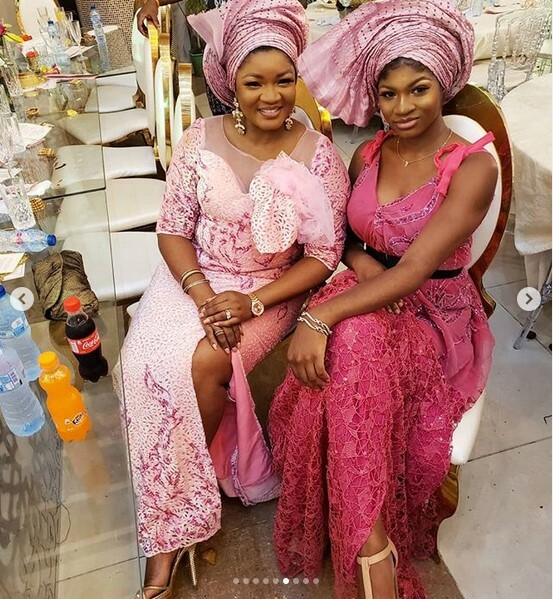 It’s easy to see that Omotola Jalade has an ultra strong mother-daughter bond with her first daughter Princess. 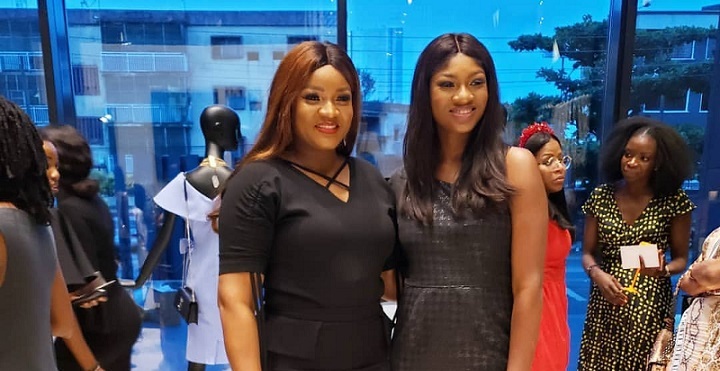 And not only has she been Instagramming and Snapchatting the pictures of the 22-year-old, but the Nollywood actress has also been pictured attending events and functions with her daughter wearing almost similar outfits. But if you thought it all ended here, the actress’ close relationship with her daughter seems to be incomparable. Apart from sporting the same outfits, it seems to us that they’re best friends. While attending the Premiere of “Skin” yesterday — a documentary produced by Beverly Naya that pinpoints the true meaning of beauty in all the different shades of black, the Nollywood favorite did not only twinned with her daughter but they showed us all some of their dancing skills which were one of the cutest parts of the event. 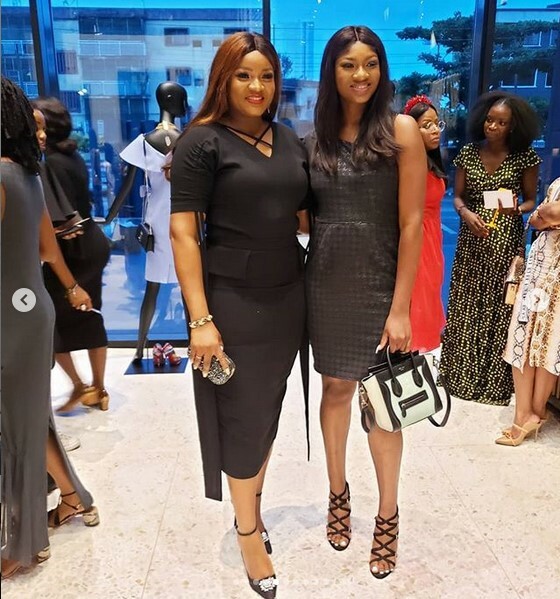 Omotola wore a gorgeous black dress with matching ankle-strap pumps while Princess was outfitted in a little one-shouldered dress of the same hue, complete with gladiator heeled sandals. Princess just graduated from with a degree in Hospitality Management from the Eastern Mediterranean University in Cyprus and the mom, of course, is delighted to have her back after being away for many years.